Fans will be able to purchase the special edition kits at merch tables on Scott’s tour. It looks Kylie Jenner is taking her cosmetics line on the road. 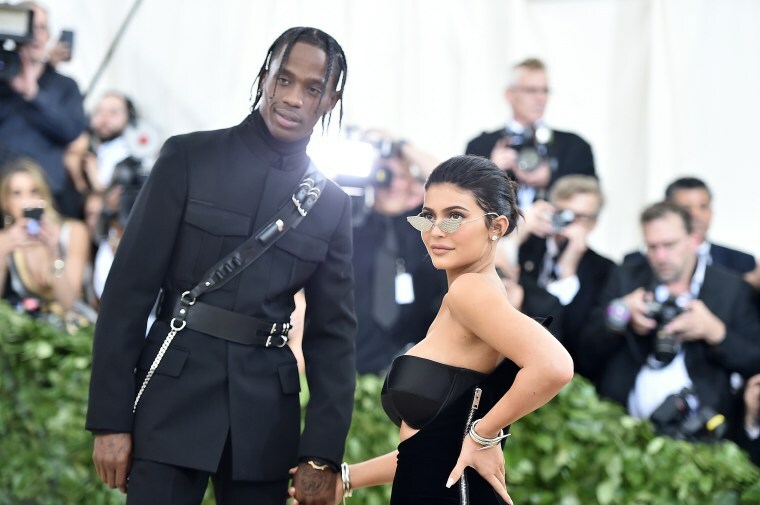 The beauty mogul announced via her Instagram stories that she made special edition Kylie Cosmetics lip kits for boyfriend Travis Scott's Astroworld: Wish You Were Here tour. The collection will be sold at merch tables alongside tees, denim jackets, slides, and other goods. The kit, which comes stocked with three liquid lipsticks, is packaged in a black box that reads: “I went to Astroworld and all I got was this f**kin' lipkit.” Jenner mentioned that the kits won't be available at the first stop, but that she will keep fans posted on when they will be available to purchase. It's unclear how much the kits will cost, and whether or not Jenner herself will actually be joining Scott on tour. Scott's Astroworld tour kicks off tomorrow night in Baltimore, Maryland at the Royal Farms Arena. Take a peek at the lip kits, below.